Social media is rapidly changing, for the better. Consumer behavior has favorably shifted towards mobile technology and as a result, businesses and brands will need to change their social strategies to reflect this new trend. According to Global WebIndex, 80% of internet users own a smartphone while 91% own a computer/laptop. Today, consumers use their mobile devices to access the internet, view social media accounts, conduct consumer research, price comparisons, book travel—hotel, air, car rental—shopping, customer reviews, gaming, and much more. Mobile technology gives brands a competitive advantage, and especially for businesses and brands who have a mobile social strategy in place. 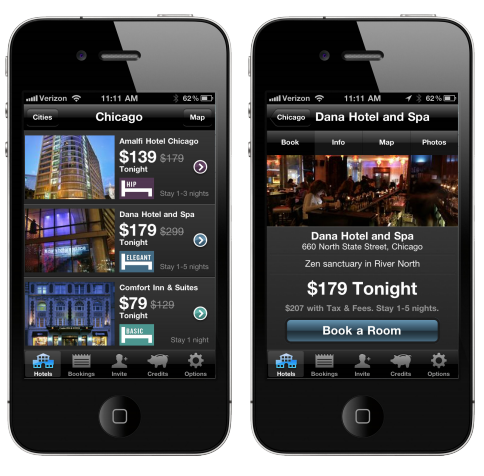 A new start-up, mobile-based travel company that is doing a great job of incorporating its mobile strategy is Hotel Tonight—last minute, real-time hotel booking via mobile application. Hotel Tonight recognized how people enjoy being on the go while using their mobile devices, and came up with a great concept of using a mobile-based application to book space at the last minute. It is clear that mobile technology is here to stay. For more information on trends read Robert Rauch’s Top 10 Hospitality Industry Trends in 2015. What mobile strategies are you implementing for your business or brand? Feel free to leave a comment.